Prototypes have been identified as critical artifacts for generating and developing innovative products and thus stimulating economic growth. However, prototyping is also associated with a large sunk cost including the extensive time and resources required to make physical prototypes. 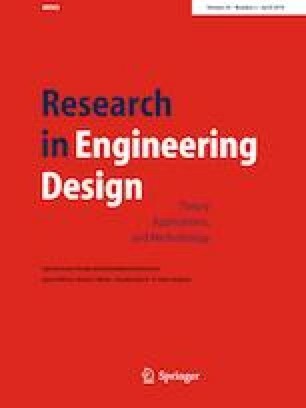 While a wide variety of prototyping methods have been proposed to reduce the cost and time of prototype development and increase the likelihood of final product success, the majority of research to date has explored the impact of these methods using simplistic measures of the technical performance of a design. Just as it is not enough to measure the effectiveness of ideation methods only by the quantity of ideas produced, we argue that it is not enough to measure the effectiveness of prototyping frameworks through technical performance alone. Without this fundamental knowledge, we cannot understand the impact of prototyping methods on final design success or failure. Therefore, the purpose in this work is to explore the effects of a structured prototyping framework on a variety of design attributes, including user satisfaction, perceived value, technical quality, and ease of manufacturability. Specifically, the overarching research question this study seeks to answer is: what attributes of a final design are affected by the implementation of a prototyping framework? A partial factorial experimental design was used to collect data from designs produced by 77 student design teams; designs were analyzed using five robust product metrics derived from the literature. Results indicate that a structured prototyping framework can lead to improved overall design quality and that differences in the implementation of such a prototyping framework can affect the achievement of these design attributes. The findings of this work deepen our understanding of the relationship between prototyping methods and design refinement during the product development process. The online version of this article ( https://doi.org/10.1007/s00163-018-0289-4) contains supplementary material, which is available to authorized users.